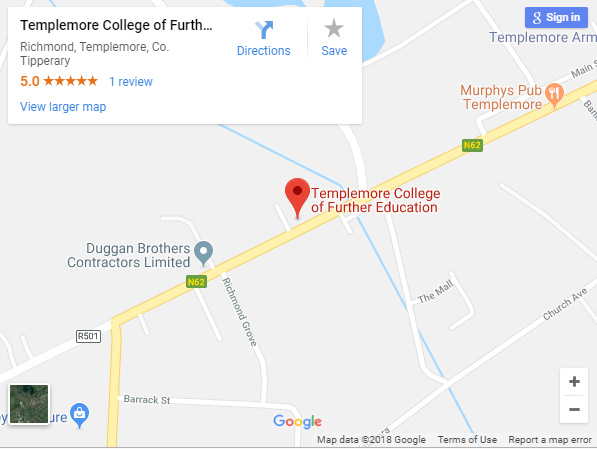 Please be advised that a number of transport providers have services to Templemore College at present. Transport is provided from Offaly via West Offaly Partnership and is currently being run by Andrew Walsh Coaches. Contact details: Sarah Kennedy – 057 9151622, or Andrew Walsh – 087 6781575. Students need to check with providers regarding times however currently there is a service from the Square in Thurles at 8.45 am provided by Kavanagh’s. Ceim Eile have a bus for student’s homeward journey only to Templetouhy Thurles. At present PLC students will have to pay driver directly for same.